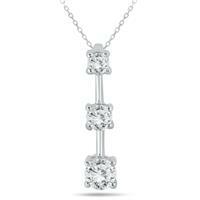 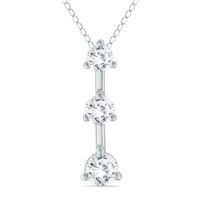 A beautiful prong set three stone diamond pendant crafted in 10K white gold. 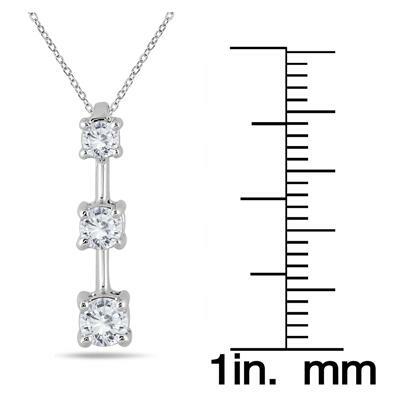 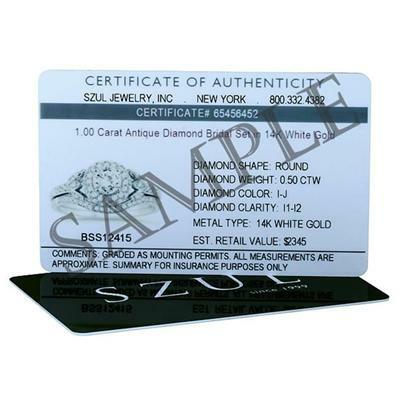 Diamonds weigh a total of 1/2 carat. 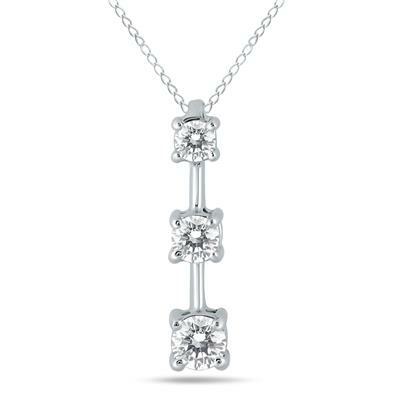 Symbolizing your past, present, and future, this 3 stone pendant has a classic look and a dazzling diamond sparkle that is sure to be cherished forever.